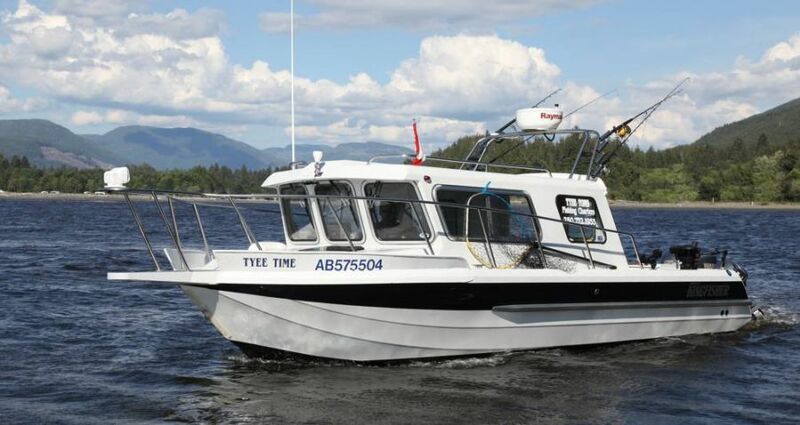 My name is Tyee Tom and I have been fishing on the West Coast of Vancouver Island for almost 20 years. I began my guiding career in the Haida Gwaii where I spent three seasons. I began guiding on the West Coast of Vancouver Island in 2010 and have not looked back. Our boat is a 26’ aluminum Kingfisher. It has a bathroom and diesel heater in the cabin along with an immense amount of seating. It is powered by a 250 hp Yamaha four stroke outboard engine and has a 9.9 Yamahaa four stroke outboard for trolling. It has all the finest electronics with Raymarine radar, chart plotter and depth sounder. 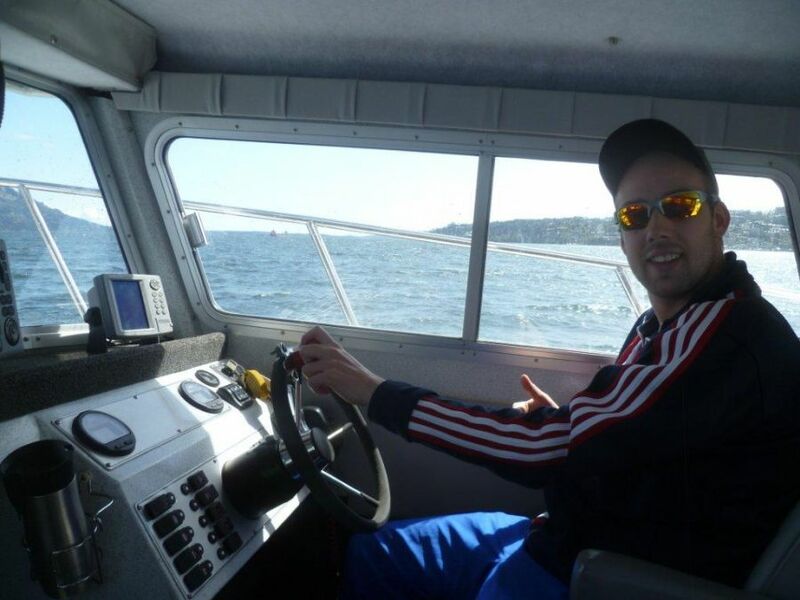 I use all of the finest equipment including Scotty electric downriggers, Islander reels on Shimano rods for salmon and Penn elite Halibut reels to ensure the best fishing experience for our clients. For larger groups we use 26 foot boats all of a very similar style.